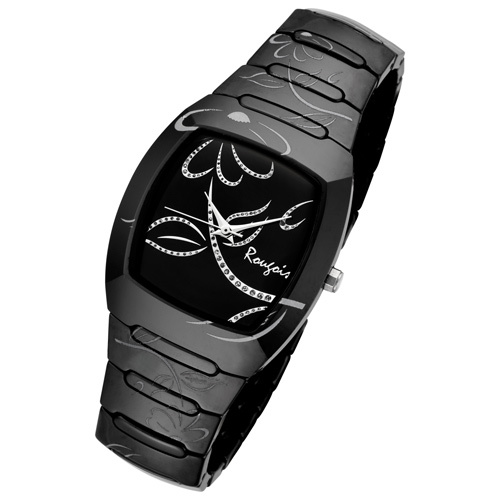 This is a beautiful black Rougois ladies watch. Bloom series, black ceramic and rose accents watch. Combines the quality of materials such as the high tech ceramic with the unique designs that are constantly produced by this innovative watch maker.